It has been a while since I posted something makeup related, which I used to do a lot for you all. Even though it is summer I still do love the darker looks that stand out because of my dark features. Most of my looks are suited for darker skin tones, however if you want to give any of my looks a go but have a lighter skin tone I would recommend that you tone the look down slightly to blend in better. This look in particular adds more depth to the eyes, especially if you have larger eyes like myself. If you have quite small eyes I really would not recommend this look to you, I would recommend a look that is softer and brighter like my Elegant makeup look to brighten and open up the eyes. 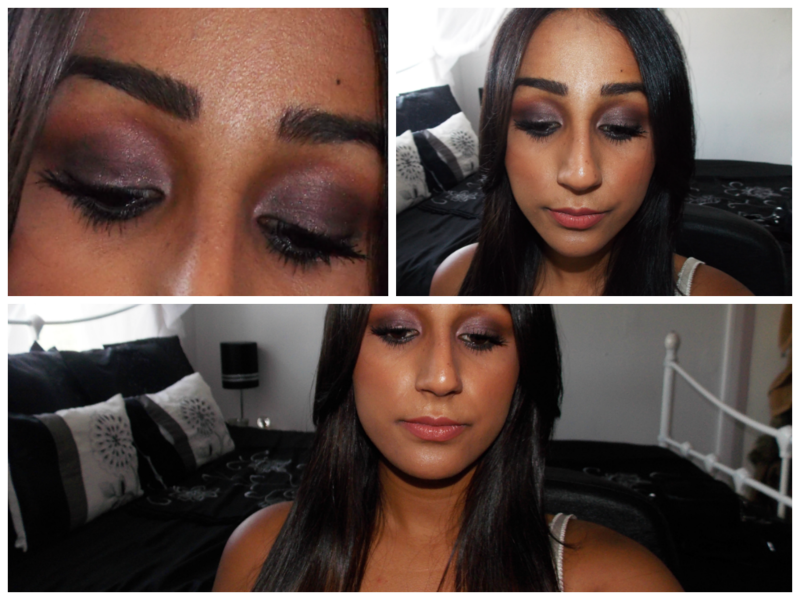 I know the look is quite dark but I did blend the purples in with warm colours to add more of a summery bronzy effect and to also create different effects in all sorts of lighting. What do you think, summery or to dark for this season? Would love to hear what you think. « To all my followers and readers…….